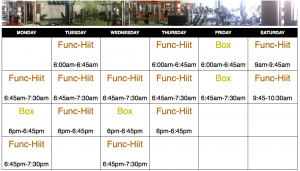 Our classes are run by highly experienced trainers six days per week, morning and evening for your convenience. Classes are capped at 15 people to allow focus to remain on YOU! To get the most out of your session why not use your MyZONE Belt?